You want a new snippet from City of Heavenly Fire? Of course you do. Cassandra Clare treated fans to a new snippet from the final installment of The Mortal Instruments as a Valentine’s Day treat. The snippet features Julian Blackthorne, a character that will appear in The Dark Artifices (coming March 2015). Click here for more City of Heavenly Fire snippets. 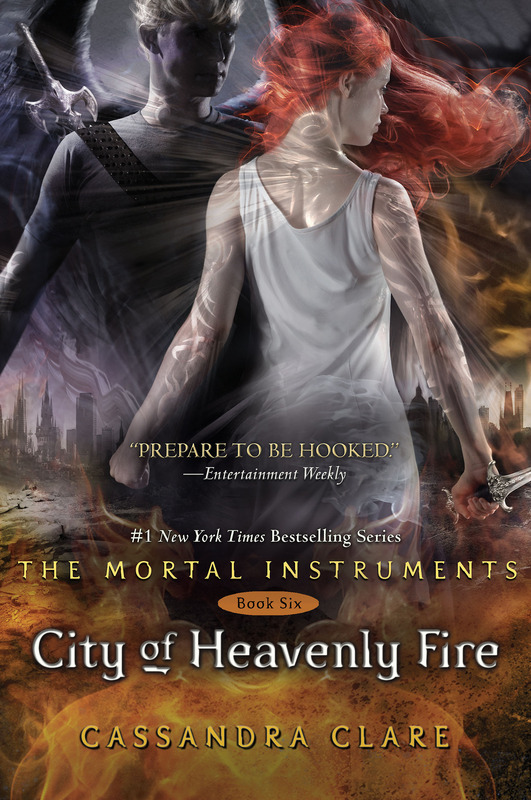 City of Heavenly Fire will be released (not soon enough) on May 27. EEEEEHHHHHHH!! I missed getting snippets. And I absolutely love it. this is torture waiting for the book!!! Why is may so far away from febuary?!! I wish Julian didn’t smoke when his older and seeing that I already know PLEASE CASSY make him quit smoking.FOR EMMA!!! When did she say Julian smoked? I never knew about this smoking habit! He seems so innocent! That makes more sense that he is holding a paintbrush. That makes me feel better. I hope Julian and Emma become parabatai in this scene. May 27 the really can’t come fast enough. I nearly go into cardiac arrest every time I read or reread a snippet for this book. This is nice, these are the kids from the new books right¿? Ahhhhhh–what’s going on?!?!?! Escaped what institute? do you have any idea how frustrating it is to realize the the book is coming out during my freaking mid-year exams!!!!! Where does cassandra clare release all this info like the barnes and noble thing? WHAT IZ THAT SUPPOSED TO MEAN? the wait.. oh the wait is killing me. I guess that it is confirmed then that Robert Lightwood is the new Inquisitor. But shouldn’t a Silent Brother be the one to handle the Mortal Sword? That what happened in TID when they questioned someone. And how many kids escaped from which Institute? Did Sebastian set a Institute on fire or something? I am guessing that that is reason why his family is all wearing white (as stated in a previous snippet). Ahhh!!!!!!! Need more Snippets!!!!!! Julian smoking……..that doesn’t sound right!!!!???? What does it mean when “He’s the oldest of the kids who escaped the Institute” ?? I CAN”T WAIT FOR THE 27th OF MAY!!!!!!!! COME QUICKER!!!!!!!!! Julian escaping an Institute? Well that makes sense with other snippets. Like Magnus saying: They’re dead. They’re all dead. I guess something really bad happens to another Institute so the survivors will stay in New York maybe?! I think the LA Institue will be attacked and the adults there killed and that’s how Emma and the other kids from TDA end up as orphans. That’s probably also how Emma gets the scar on her arm. I really hope Jem and Tessa will become the new leaders of the LA Institute. I see Robert Lightwood is in along with Idris as well. this, like yoou wrotye the ebook in it or something. A fantastic read. I will certainnly be back.